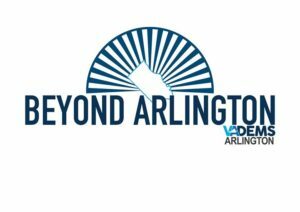 Arlington Democrats elects and appoints party officers for two-year terms, in accordance with the Committee’s bylaws. A current list of elected steering committee members is below (updated Feb 2018). 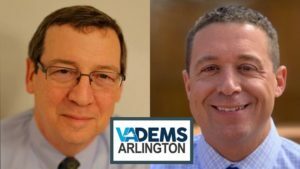 A full list of the entire committee can be had by contacting Arlington County Democratic Committee. Precinct Captains are elected to serve two-year terms in accordance with the party’s bylaws. Captains share responsibility within electoral precincts in teams of two or three, and are aided by Area Chairs, Precinct Leaders and other volunteers. Precinct Captains organize diverse grassroots activities within their precincts, and coordinate volunteers to accomplish voter outreach and education, and other Democratic party activities throughout the year. To find out more about Precinct Operations or to become a Precinct Captain, visit the Precinct Operations page. The Eighth District Democratic Committee is comprised of Democrats elected from the various jurisdictions that reside in Virginia’s 8th Congressional District. These members represent our congressional district at the state meetings of the Democratic Party of Virginia. The current membership of the Eighth District Committee can be found here. The members of the Eighth District Committee who live in Arlington also serve as ex officio members of the Steering Committee.